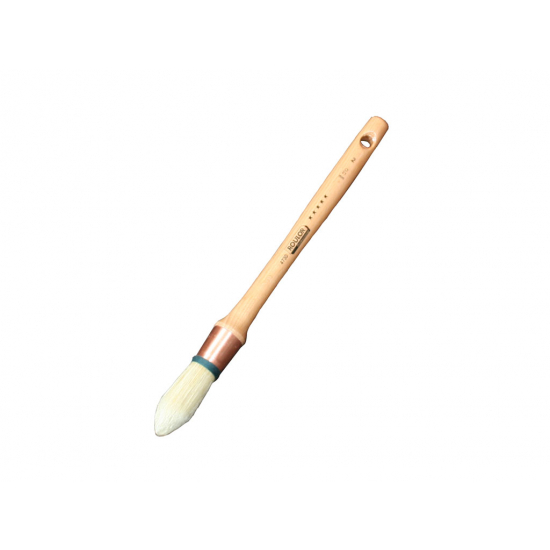 Continental Sash Brush for detail painting, professional quality sash brush with a pointed round tip, 21mm diameter. Continental Sash Brush for detail painting. 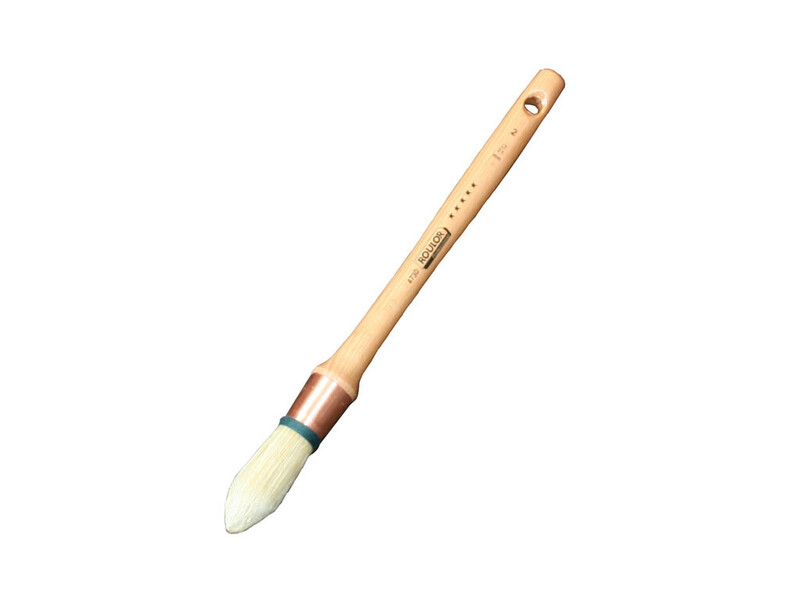 Professional quality sash brush with a pointed round tip, 21mm diameter. For detail painting.on window trims, sills, window frames, coving and sashes. Full length lacquered wooden handle, seamless copper ferrule and white blended synthetic and natural bristle. Handcrafted, these brushes are properly flagged for a satin smooth finish, set in a conical mount with epoxy resin for maximum bristle and filament security. Size; 21mm diameter.